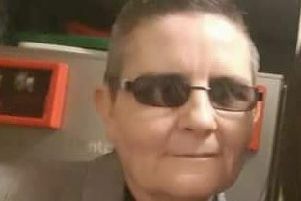 An active member of the Stickford community who caused the death of a motorcyclist when she turned into his path after failing to see him has today (Tuesday) been given a suspended jail sentence. Jean Taylor, 74, admitted causing the death of Terence Westrop, 65, by careless driving following the collision on the A16 at Sibsey. Lincoln Crown Court heard Taylor was driving her husband to a pub lunch in Swineshead Bridge when she decided to turn right across the A16 at the Northlands junction. The court was told Taylor simply failed to see Mr Westrop, from Long Sutton, who was riding his motorcycle to his new retirement cottage in Cumberworth. Phil Howes, prosecuting, said: “Her manoeuvre was careless and below the standard expected by a reasonable and careful driver. A motorist following behind Taylor described how he clearly saw Mr Westrop’s ‘bright green’ motorbike coming in the opposite direction. The court heard Taylor got out of her car and asked if Mr Westrop was alright but he died from chest injuries a short time after being taken to hospital. In a victim personal statement which was read out in court Mr Westrop’s partner, Elizabeth Morrison, described how the couple were in the process of moving to their retirement cottage near the Lincolnshire coast. “Our plan was set, we were to retire there,” she said. The court heard Taylor, who has ten grandchildren, had held a driving licence since the age of 17 and had never even had a parking ticket. Errol Ballentyne, mitigating, said Taylor was also the carer for her 86-year-old husband who needed regular hospital visits. He added: “In her village she is the person that does everything. She is the treasurer for the over 55’s club, she is on the parish council committee and is a church organist. Mr Ballentyne told the court Taylor had only decided to turn right because there was a tractor in front of her. Police failed to trace any other motorists who saw the tractor. Taylor, 74, of Cole Lane, Stickford, admitted causing death by careless driving on 4 December last year. She was sentenced to six months imprisonment suspended for 12 months and banned from driving for a year. She will not have to take a retest. Passing sentence Judge Michael Heath described the case as an ‘absolute tragedy’ for both sides. He told Taylor: “For some reason you failed to see him and turned right into his path. There was a collision and he died.